This photo shows a recent early morning meeting on the Quincy Columbia Irrigation District’s main canal near Ephrata, Washington, between Quincy General Manager Darvin Fales, former Reclamation Commissioner Bob Johnson, and Columbia Basin Project Counsel Richard Lemargie. Listening to these men talk underscored for me that there is no substitute for experience in trying to find a solution to a problem. The wisdom of knowing what has worked and what has not is invaluable. 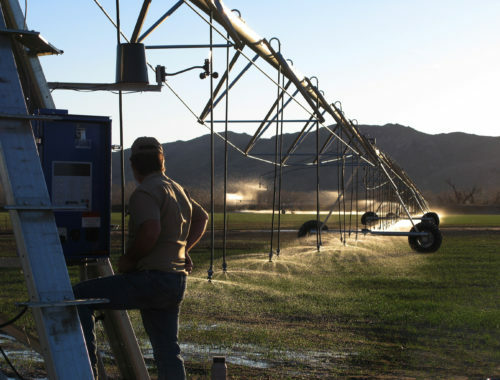 This is especially true in the irrigation business, where large volumes of water must be moved safely and efficiently in support of regional economies. 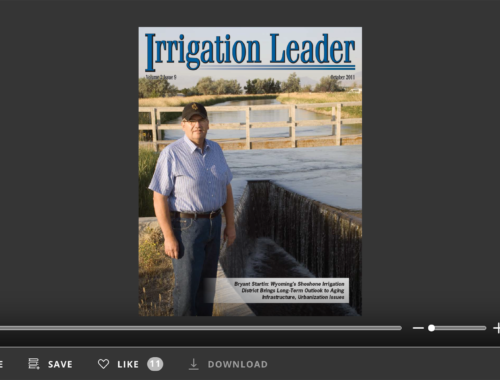 All three men in the photo have grown up in or around agriculture and have spent their adult lives working in irrigation. Darvin Fales has served as the Quincy general manager for 9 years and worked as an engineer for the South Columbia Basin Irrigation District for 18 years before that. Darvin is from near Goshen, Wyoming, and was raised on his father’s sheep ranch on Reclamation’s North Platte Project. Bob Johnson came back from retirement to serve as Reclamation commissioner after having worked for Reclamation for more than 30 years. He grew up on his family farm near Lovelock, Nevada, on Reclamation’s Humbolt Project. Richard Lemargie’s father was Reclamation’s regional solicitor during the construction of the Grand Coulee Project. His father’s unique position allowed Richard to begin his education on Reclamation law as a child around the kitchen table. Their lives, just like the many people they represent, are part of the Reclamation legacy of providing great value and security to our country through the production of food and hydropower. Listening to them talk, difficult problems became less so, and “win-win” solutions more achievable, strengthening the longtime partnership between the districts and Reclamation. 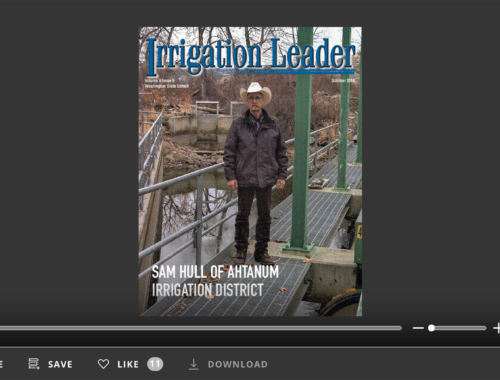 Helping people share their experiences and find solutions is what Irrigation Leader magazine is about. Helping people find solutions to challenging water issues is also what Water Strategies, LLC, is about. We are especially proud to have former Reclamation Commissioner Bob Johnson as our senior advisor. Should you or your district have a challenging issue you would like to discuss, please contact former Commissioner Johnson by e-mailing Bob.Johnson@WaterStrategies.com.